Ever since he rode a Trump Tower escalator into the presidential race in June 2015 and swore to build his “great wall” and stop Mexican “rapists” from entering the country, undocumented immigrants have been the focus of Donald Trump’s ire. Now that he’s in the Oval Office, the news has been grim. A drumbeat of frightening headlines and panicked social media posts have highlighted his incendiary language, his plans and executive orders when it comes to immigrants, and the early acts of the Border Patrol and U.S. Immigration and Customs Enforcement agents when it comes to round-ups and deportations. The temperature has soared on the deportation debate, so if you think we’re in a completely unprecedented moment when it comes to immigration and immigrants, you’re in good company. Trump has repeatedly claimed that immigrants, especially undocumented ones, are flooding the United States, causing crime waves, and depleting social service budgets. Never mind that the number of such immigrants has been in steady decline since 2008, that immigrant crime rates are lower than citizen crime rates, that the undocumented have no access to most social welfare programs, and that crime figures, too, have generally been on the decline in recent years. The media has played its own role in fanning the flames. Since Trump entered the Oval Office, news reports have proliferated about rising raids, arrests, detentions and deportations. These suggest that something new, terrifying, and distinctly Trumpian — something we’ve simply never seen before — is underway, including mass sweeps to deport individuals who would have been protected under the previous administration. The numbers tell a different story. A Washington Post scare headline typically read, “ICE Immigration Arrests of Noncriminals Double Under Trump.” While accurate, it was nonetheless misleading. Non-criminal immigration arrests did indeed jump from 2,500 in the first three months of 2016 to 5,500 during the same period in 2017, while criminal arrests also rose, bringing the total to 21,000. To those who have been following deportation politics in this country, Trump’s policies, as they are now unfolding, have an eerie resonance. They seem to be growing directly out of policies first instituted in the presidencies of Bill Clinton and Obama. True, Obama liked to talk about “our tradition of welcoming immigrants,” while our new president has tossed such liberal humanitarian rhetoric in the garbage can, instead playing up a harsh nativism. Still, the fact is that two Democratic presidents laid the groundwork for Trump’s developing policies. It was, after all, Clinton who oversaw the draconian “Illegal Immigration Reform and Immigration Responsibility Act” of 1996. It drastically increased all levels of immigration “enforcement,” expanding the Border Patrol, criminalizing numerous types of low-level immigration violations, and facilitating and expanding deportation procedures. A similar emphasis on casting blame on individuals for structural and systemic problems was also at the heart of Clinton’s welfare reform of that same year. In many ways, Trump is only reiterating, with more bombast, ideas and policies pioneered under Clinton, that then became a basic part of Obama’s approach to immigration. Those policies drew directly on racist tough-on-crime and anti-terrorism police tactics that also helped foment white racial fears. Anecdotally speaking, there have already been numerous cases of detention and deportation that appear to go far beyond what was occurring in the Obama years. But a closer look at those cases and at the numbers suggests surprisingly more continuity than change. Both the mainstream media and social media have highlighted what appear to be extreme cases of the arrest of “deferred action for childhood arrivals” youth, also known as “Dreamers,” as well as of individuals appearing for routine check-ins with U.S. Immigration and Customs Enforcement agents, or other arbitrary detentions and deportations. At first glance, Obama’s legacy on immigration enforcement appears contradictory indeed. He claimed to be a humanitarian who sought to deport only “felons, not families,” while granting relief from deportation to hundreds of thousands of undocumented immigrants. At the same time, he was dubbed the “deporter-in-chief” for a reason. He oversaw historic rises in deportation rates. 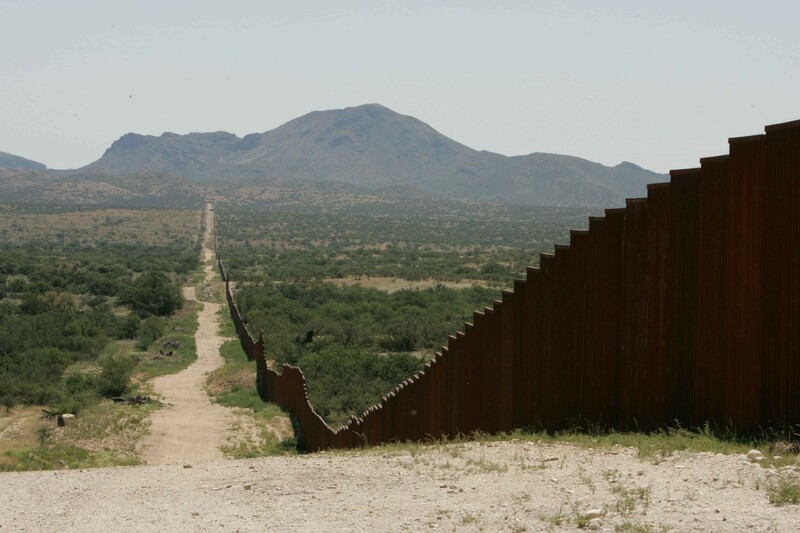 To grasp the contradictory nature of his policies, it’s necessary to explore three geographically different policy realms when it comes to the undocumented — interior enforcement, border enforcement and the Mexican Southern Border Program. In the area of interior enforcement, Obama created several protection and priority programs for undocumented immigrants already in the country that did indeed shield whole groups of people from deportation. Immigrant rights supporters who emphasize the humanitarian nature of what Obama did focus on such protections, while downplaying the two border prongs of his policies. Yet, though not much attended to, even the humanitarian programs incorporated a darker side, criminalizing and targeting those not eligible for them. When it came to interior enforcement, Obama called on ICE to exercise “prosecutorial discretion.” Immigrants who were parents, students, hard-working, had close family and community ties or served in the military, he suggested, should be granted relief from deportation. In the process, however, he offered a language of innocence versus criminality and the illusion that, when it came to immigrants, the notion of criminality was self-evident and universally agreed upon. By dividing them into felons versus families, he actually contributed to the criminalization of large groups of immigrants and so fed directly into Trump’s future rhetoric. He also drew on Clinton’s “tough on crime” policies in ways that linked the criminalization of people of color with the deportation of “criminal” immigrants — also overwhelmingly people of color. 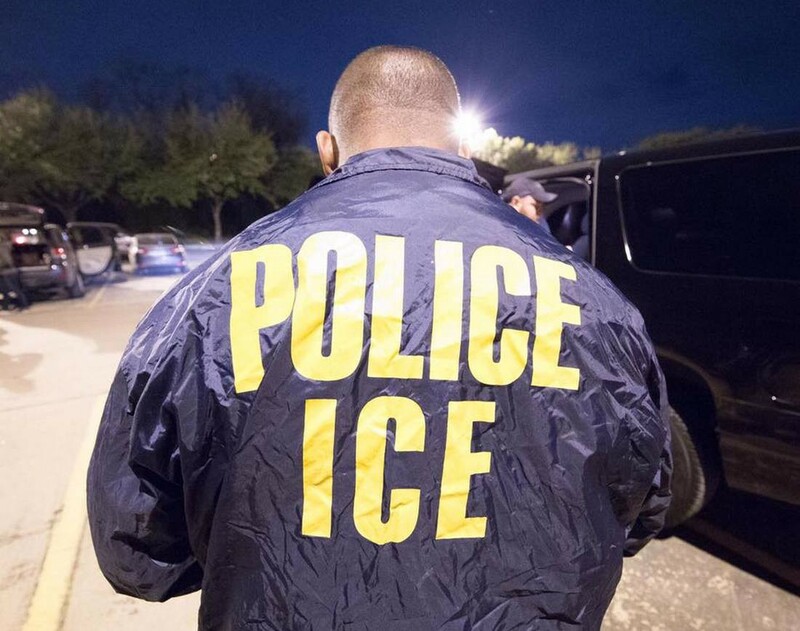 “The criminalization of immigrants in part resulted from more aggressive policing of communities of color,” immigration scholars Alan Aja and Alejandra Marchevsky explained. As Michelle Alexander, author of The New Jim Crow, has made strikingly clear, all of this — the redefinition of minor crimes as felonies, the increasing pressure on those charged to plea bargain, and measures that then excluded felons from public housing, employment, welfare rolls, voting booths and other aspects of society — relegated a significant number of black men to a permanent underclass. Undocumented immigrants were also caught in this web, with some special twists. In the wake of Clinton’s 1996 immigration law, for instance, convictions of just about any sort, including the most minor crimes, became grounds for deportation — even retroactively. So a long-ago violation that resulted in probation and community service, or a small fine, now became evidence of an immigrant’s “criminal” status from which deportation naturally followed. And there was another new catch-22 category, as well. So-called immigration crimes. Those with a record of illegal reentry and those who engaged in what was termed “immigration fraud” were automatically re-categorized as “criminals” under Obama’s priority enforcement policy. “Illegal reentry” is, in fact, the most curious of crimes, since it distinguishes between those who succeed in entering the country without inspection on their first try and those who are caught and only succeed on a subsequent try. “Immigration fraud,” a broad category, includes common practices like using a false social security number in order to work. Obama’s interior deportation scheme relied heavily on this expansive notion of the criminality of the undocumented, who might otherwise have qualified as people trying to get by as best they could. Now, Trump is extending that criminalization further by ruling that anybody convicted of, charged with, or even suspected of a crime constitutes a priority for deportation. In the process, he’s expanded the concept of the “criminal” even as he’s built directly on the Clinton-Obama legacy. What earned Obama the moniker of “deporter-in-chief,” however, was his policy towards border enforcement, since it was there that the number of deportees rose most sharply. This was in part because he prioritized “recent border crossers” for deportation. Everyone, that is, who had crossed without authorization, which essentially meant everyone apprehended in the border region, was now criminalized. Under previous administrations, most of those caught there had been granted what was called “voluntary departure.” In other words, they were returned to the Mexican side of the border without legal sanction. During the Clinton and Bush administrations, more than a million people a year were returned to Mexico in this manner without being transformed into criminals and so were not included in the usual deportation figures. 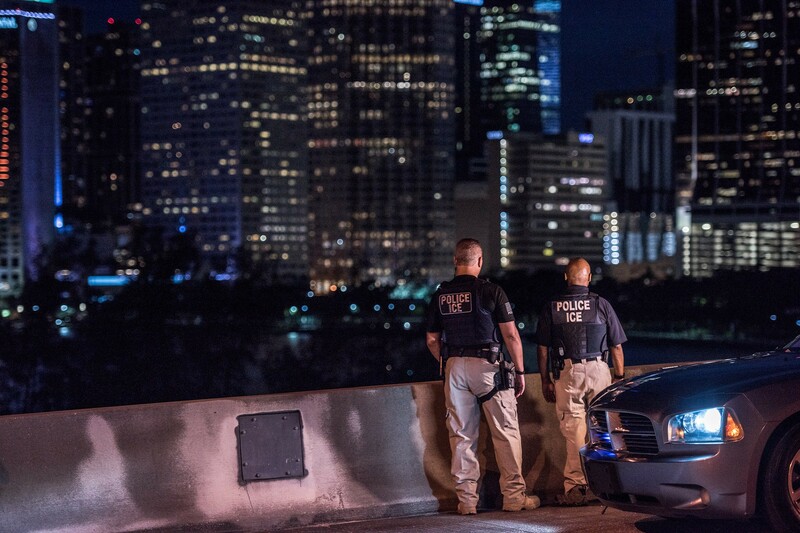 Soon enough, immigration crimes came to rival drug crimes in the federal court system. Obama became the deporter-in-chief not because he deported more people than previous administrations, but because he criminalized more of those he deported. This, then, was how he managed to protect many from deportation, while also racking up deportation statistics far beyond those of his predecessors. In fact, the situations of many of those caught at the border proved remarkably similar to those being granted prosecutorial discretion in the interior. They had family, including children, in the United States, or jobs and strong community ties, or had lived in the country for years. Because they had left and tried to return, however, they were redefined as criminals. Finally, one aspect of immigration enforcement under the Obama administration generally goes unmentioned. The president’s role in pressuring Mexico into collaborating by arresting and deporting Central Americans heading north — including families and unaccompanied children — before they reached the border with the United States. In 2014, under growing pressure from Washington, the Mexican government implemented the Southern Border Program. While U.S. law was being repeatedly updated to provide humanitarian treatment to families and children apprehended at the border, when the Mexicans got to them first, they simply deported them. In 2014, only three percent of the minors apprehended in the United States were deported. In Mexico, the figure was 77 percent, or 18,269. The United States outsourced its border enforcement to Mexico. As in the United States, so Mexico’s increasing militarization and repression on its southern border did not actually slow the flow of migrants. It merely made the voyage far more dangerous, while giving ever more power to smugglers and gangs that now prey upon Central American migrants desperately trying to evade Mexican border controls. Long before Trump entered the Oval Office, this “tough on crime” approach to immigration fit into a broader pattern of the criminalization of people of color that fed the prison-industrial complex, made the U.S. the globe’s leading incarcerator, and encouraged the proliferation of private prisons. It helped justify the increasing militarization of the police in those years and the over-policing of communities of color. It also fed a national sense of insecurity that contributed to political passivity, disempowerment, and the kind of nativism that Trump has thrived on. Immigrants actually experience significantly higher labor force participation and lower unemployment rates than the native-born, making them an exception among people of color. However, they earn less — $681 per week — than do native-born workers who make $837 a week, according to Bureau of Labor Statistics figures for 2015. For employers in recent years, the criminalization of the already unstable status of immigrants, and their inability generally to access social services, makes them a uniquely exploitable and so desirable work force. They tend to be hired to do jobs so dismal, arduous or dangerous that they fail to attract native-born workers. Anthropologist Nicholas de Genova has suggested that the very “deportability” of undocumented immigrants makes them desirable to such employers. Meanwhile, the criminalization of people of color and of immigrants in particular lent a distinct helping hand to Trump in his campaign for president, even as it helped the prison-industrial complex and the police justify ever-increasing budgets and employment. The Trump administration’s multipronged approach to immigration relies on and promotes the criminalization of immigrants. Whether halting the entry of refugees or persons with visas from particular countries, hiring thousands of new ICE and Border Patrol agents, promising to build a “great, great wall,” denying federal money to sanctuary cities or publishing lists of crimes committed by immigrants, Trump’s immigration policies follow in the footsteps but also intensify those of his predecessors and continue to create fear, justify exploitation and rationalize authoritarianism. Aviva Chomsky is professor of history and coordinator of Latin American studies at Salem State University in Massachusetts. Her most recent book is Undocumented: How Immigration Became Illegal. This story originally appeared at TomDispatch. Follow DEFIANT on Facebook and Twitter.